You Are Here: Home → Are police on killing spree? 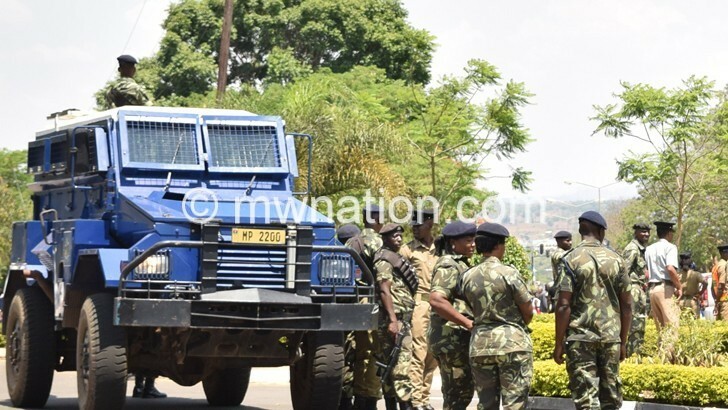 Seven years after some local NGOs claimed to the UN that Malawi was involved in extra-judicial killings, Weekend Nation has traced scores of robbery suspects who have turned up dead in dubious circumstances at the hands of police over the past months. Police insiders showed us a list of 43 suspects who died in the hands of the police, but a high-ranking police officer based in the Southern Region said, in an interview, that the figure could be higher. 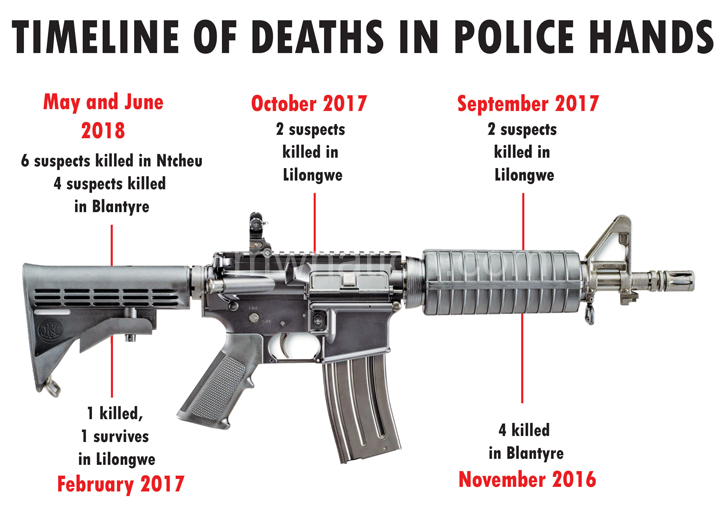 Between May and June this year at least 10 suspects—six in Ntcheu and four in Blantyre—died in what appears to be police shootings. Ntcheu Police spokesperson Hastings Chigalu said bodies of four of the Ntcheu six—identified as Christopher Mulomba, Wilson Gosten, Edwin Lungu and Defuleya Kapusa—were collected by their relatives whereas the remaining two bodies, were buried by prisoners. Chigalu refused to answer when asked how the suspects died. But Raphael Mulomba, 71, said in an interview on July 10 2018, that he heard that his son, Christopher, was killed by the police. 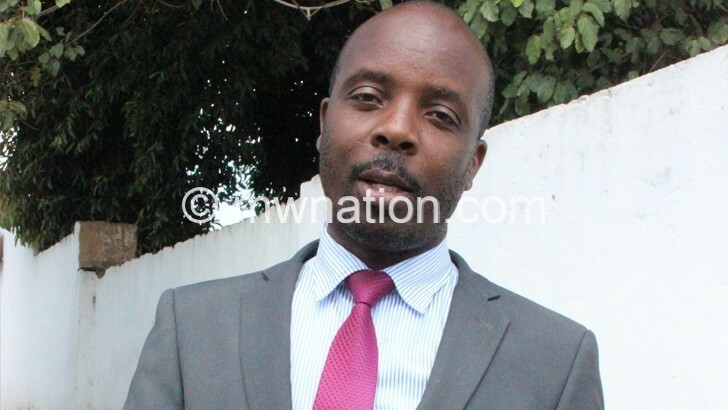 “It was my daughter Funny Mulomba who got the message first and she phoned me that her brother had been killed by police in Ntcheu,” said Mulomba. Mulomba said no one told him why his son was killed. Police in Blantyre reportedly killed Humphrey Sakhumwa—popularly known as Gadafi—Dave Zembele, Dave Gondwe and Ashbu Daiton in June 2018, according to an inmate at Chichiri Prison. The inmate’s claim was corroborated by a senior criminal investigations officer (CID) in the Southern Region. The officer justified the killings as necessary under the circumstances the law enforcers found themselves in. Police deposited the corpses at Queen Elizabeth Central Hospital (QECH) mortuary. Three of the bodies were later released to their relatives, but Daiton’s remained unidentified in the mortuary for weeks, according to a mortuary attendant. Relatives only recovered the body of Daiton after being alerted by a Weekend Nation story about a body lying unidentified at the mortuary. The mortuary attendant, speaking on condition of anonymity, confirmed receiving the four bodies on the night of June 16-17, 2018. “I know of the said bodies, one of them is still here. The police told us that those people were shot when they were trying to steal. We do not ask questions,” he said. He said, occasionally, police bring to the mortuary bullet-riddled bodies of suspects with explanations that range from “there was a gun fire exchange with the robbers” or “the suspects were trying to escape”. The suspect on remand, Aubrey Austin Thepeya, said in an interview that he was netted, on June 16 2018, together with 10 others, four of whom ended up dead. The senior CID officer from the Southern Region we talked to confirmed the numbers, including the names of those killed and of the ones who went to court. But the officer differed with the survivor on how the suspects found themselves with the Police and how they died. Banda said he had no idea that the suspects were 11 in total. He said of the seven, only two walked out on bail, saying some were still on remand because they had cases with other magistrates or failed to meet bail conditions. The seven suspects, according to court records, are Moses Ajidan, Twaibu Kalonga, John Masamba, Aubrey Austin Thepeya, Alfred Mbengo, Limbani Mafaiti and Limbani Chagoma. Thepeya, one of the seven survivors, speaking to Weekend Nation from Chichiri Prison on July 13 2018, said he was the one who informed Sakhumwa’s family of his death. Thepeya said he and the other 10 were arrested in connection with some gardening materials—a hoe, a pick and a shovel—that police found in Thepeya’s house. Thepeya claimed the episode started with the picking of his friend Limbani Mafaiti on June 15 2018. He alleged that the friend led the police officers to his house, after they asked him where he was going. “They searched my house and found a hoe, a pick and a shovel. They asked me why I was keeping those ‘weapons’. I told them the tools belonged to a friend. “In the morning of June 16 police took us to Limbe where the owner of the ‘weapons’ was called and was immediately arrested. From then any person who made a call to this man was invited to Limbe, at Soche Bus Stage, where they were all arrested. In total, 11 people were arrested,” Thepeya said. He said the operation started at around 7am and the last person was arrested at around 4pm. “We were then taken to Soche Police where six people were put in a cell,” he said. Thepeya claimed they proceeded to Chilobwe Police where one of the CID officers at the station told the Blantyre Police team of about eight officers that he (Thepeya) should remain at Chilobwe Police while the others were taken away. “That’s how I survived. The same officer who asked that I be locked up at Chilobwe Police informed me later that the four who were taken away in a personal car belonging to one of the police officers in Blantyre, had been killed,” he said. He was later taken to Chichiri Prison where he accessed a phone and informed Sakhumwa’s wife about her husband’s death. In an interview, Humphrey Sakhumwa’s widow, Florence Sopo, claimed that her husband of 16 years and father of two, disappeared on June 16 2018, when he left home at around 10am, after telling her sister-in-law (Sakhumwa’s sister) that he had gone to Limbe. “I was not at home when he left. Then I started calling him. After about four calls went unanswered, he picked the fifth call, telling me that he was in Limbe and would call me back. “By around mid-night, the phone went off,” she said. Sopo said in the morning of May 17 2018, she went to Sakhumwa’s friend, Dave Zembele, to enquire about her husband’s whereabouts, only to be met by Zembele’s wife who told her that her husband, too, was not picking his phone. “For three days I was going to work, but I wondered why my husband would leave us in such a manner,” Sopo said. On the third day, Sopo claimed she received a phone call from a number she could not recognise. The caller asked if she knew the whereabouts of her husband and she said no. “He told me to go to Blantyre Police or QECH mortuary to check, saying my husband was killed by police,” she claimed. Upon hearing the news, Sopo said she went to meet Zembele’s wife. The two agreed to first go to the mortuary to check if their husbands’ bodies were there. “We were told that the bodies were dumped by police on the night of May 16 and that we had to go to police to get a release order,” she said. Sopo’s brother, James, said he went to Blantyre Police to get a police report. “We were taken to Chilobwe Police where a paper was prepared carrying no other details apart from the deceased’s names. We took it to the mortuary where we collected the body and proceeded with burial arrangements,” he said. Based on Weekend Nation findings, police have been giving inquisitive relatives of some of the ‘Blantyre four’, and ourselves, conflicting narratives of how the suspects died. For example, at our urging, Sopo went to Blantyre Police last month to find out how her husband died. She said police only told her that her husband was killed “while planning to go and steal” with others. On the other hand, Jana Mgwira, a relative of Ashbu Daiton, whose body the family identified three weeks after his death, said police told them that his relative was caught “red-handled” in Zomba, with some of his friends, where they intended to steal and that he was shot in the process. “Police told us in brief: ‘Your relation was in Zomba to steal, so we shot him down.’ I asked them how come the registry at QECH indicated that he was brought in by Chilobwe Police when it was claimed that he went to steal in Zomba? They only said ‘your relative was a thief and we have shot him down. Just take the body and bury it, if anything come back to us’. “Well, we are not going back to police. We will seek other avenues,” he said. But the senior CID officer we talked to said officers killed the four because they threatened the police with a gun in Blantyre. He claimed the four that were killed, and the seven that survived, were arrested after Police gathered intelligence that they were planning to attack a mosque at Songani in Zomba. “The information police had was that the 11 were going to attack a mosque. The four were the ring leaders. The seven were dropped in police stations because they were accomplices. The four were in police hands to guide the officers where they had hidden a gun,” he said. He claimed that upon reaching the place they had hidden the gun, three suspects started running away and they were gunned down while the fourth one got hold of the gun and aimed at the police officers, forcing the officers to shoot him. “These are the people who could kill you without thinking twice. Since we started eliminating these people there are fewer deaths from robbers,” he said, adding that the figure is higher than the 43 that Weekend Nation was privy to. According to the QECH mortuary attendant, the deaths are accepted as normal because most of the deceased’s relatives do not complain about the manner their relatives have died. “I only remember one incident when family members acted tough over the death. It involved the late son of Mr. Kaiya,’’ he said. Pastor Fletcher Kaiya, in a telephone interview on July 19 confirmed that his family was disputing the death of his son, Jonathan and that he has taken police to court. “I want to know why they killed him. He was beaten and guarded by five armed police officers, how would they claim that he grabbed a gun and shot a police officer? They did not only kill my son, but they also lied against him,” he said. Various media reports also show killings of suspects. In May this year, police in Lilongwe killed a suspect while one escaped in what law enforcers say was an exchange of fire. In October 2017, police killed two suspects—Harry Joseph and George Chanza—in Area 25 in Lilongwe. The two were ambushed at their suspected hideout. In September 2017, two unidentified suspects were gunned down in Lilongwe in what authorities said was an exchange of fire. In February 2016, police killed Thomson Chigoneka in Lilongwe and in August 2016 police killed three suspects in Lilongwe after what they said was a shootout. One suspect survived. In November 2016, police killed Kapisi Tembo, John Ntaja, Ephraim Mkandawire and one unidentified individual in Blantyre as they were suspected to have been planning robbery. In an interview on August 29 2018, Centre for Human Rights Education and Advice executive director Victor Mhango said some of the police killings were suspicious and “synonymous with extra-judicial killings”, saying his organisation had received several complaints on the deaths. Mhango said: “We have received a number of complaints from relatives of the alleged victims. We cannot say for now with certainty whether or not the claims of extra-judicial killings are true. But if these things are happening, the law is very clear under the Inquest Act, that for any person who dies in custody there should be an inquest into the death,” he said. He further said police have a duty under the Inquest Act to report any death that occurs in their custody to the coroner, in this case a Magistrate, who should then conduct an inquest into the person’s death. “Our appeal to the families of the alleged victims is to go to any nearest Magistrate’s Court and lodge a complaint that an inquest should be done so that the cause of death should be known,” he said. Police headquarters spokesperson James Kadadzera said Section 44 of the Police Act gives procedures on the use of a firearm. “The firearm is used to overpower a suspect resisting arrest. The suspects are warned before discharging a firearm. It is also used when lives of police officers or others present at that moment [are] in danger,” he said. Kadadzera said police discharge firearm on suspects in possession of dangerous weapons such as firearm and pangas, adding that when a firearm is discharged, officers write a report to the officer-in-charge, explaining the circumstances.